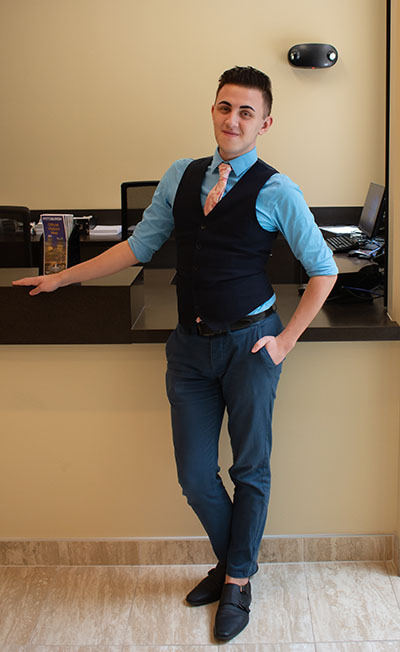 "Jeremiah has worked in the box office since his freshman year at Point Park. He is not afraid to ask questions in order to understand how and why we do things. As he became familiar with the process and the ticketing system, he would offer suggestions on ways we could improve the office from a student perspective. My respect for Jeremiah has led me to ask him for advice on policy and procedures before implementing them. 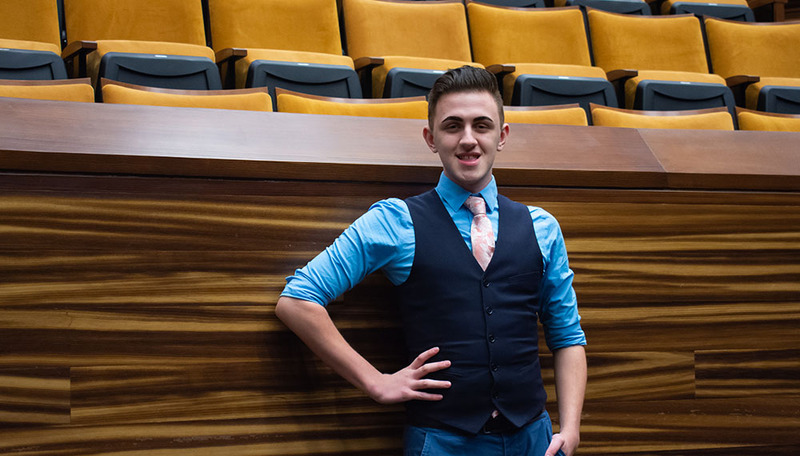 The SAEM program has provided Jeremiah with a solid foundation on what to expect working in a theatre environment and other areas of entertainment." "The SAEM faculty have been so helpful in ways I did not know I needed help in and gave me opportunities that I never could have even imagined were possible." Tell us about your co-op with the new Pittsburgh Playhouse in Downtown Pittsburgh. My co-op at the new Pittsburgh Playhouse consists of selling subscriber tickets, booking groups for group tickets and answering inquiries about the new theater, future productions and ticket needs. I am currently in charge of the Nov. 1 performance of Cabaret for the Downtown Community Development Corporation. Members of the Downtown CDC get complimentary tickets and drink vouchers for the performance. I am also working with Anthony Dennis, director of sales, to book other groups for future shows. As a former work study employee, I also get to train the work study students on the new ticketing system. What factors made you choose Point Park University and its SAEM major? I have always had a passion for the entertainment and theater industries and wanted to stay involved. I was originally going to audition for musical theater and acting, but I also saw a desire to produce new work and wanted to learn how I could do just that. SAEM was a unique program that had the best connections for all my interests. At the time I was applying, I was taking a gap year and living in Arizona and wanted to come back to Pennsylvania, but be in a new city. Point Park checked all of the boxes. How have the SAEM faculty helped you in this co-op? The SAEM faculty have been so helpful in ways I did not know I needed help in and gave me opportunities that I never could have even imagined were possible. At the beginning of the year, I went to New York City and volunteered at the Association of Performing Arts Professionals conference and the number of people I met in the industry was amazing. It was also cool to network with other students who were also interested in the same things as me. By getting these cool experiences, I was able to see how the industry standards and innovations could be implemented into our new Playhouse, which is located near Pittsburgh's Cultural District. As a junior at Point Park, what would you like to accomplish this year? I have some goals in mind, but I do not want to cement myself into the idea that I have a life plan. I have steps I need to take to achieve them. If anything, I want to determine my best strengths and my worst weaknesses. I want to be ready for whatever life throws at me. I am super ambitious and I have not been honest with myself and with everyone as to what I have as my goals. I used to think they were far-fetched and silly, but what I’ve discovered through this program is that you can apply anything you learn here to make your own dreams a reality. I would love to produce new LGBTQ works in film and theater as a producer, director and even a performer.